I never thought I would say this, but I love this big tub of cream. All my friends know I abuse beauty products and can’t follow directions to save my life. I sometimes keep facial masks on for longer then necessary. The results are often severe dry skin. My skin was recently rescued by First Aid Beauty, my skin immediately felt relief from dry, cracked and chapped skin. I was so happy my recent beauty mishap lasted 24 hours instead of the normal 72 hour turn around. Ultra Repair Cream is intense therapy for dry, itchy, scaly skin due to eczema, cosmetic treatments, and harsh weather conditions. The benefits are deep hydration, the skin is calmed and restored, providing immediate relief and signs of visible improvement. This rich cream can be applied anywhere on the body, hands, feet, elbows and in my case my face. 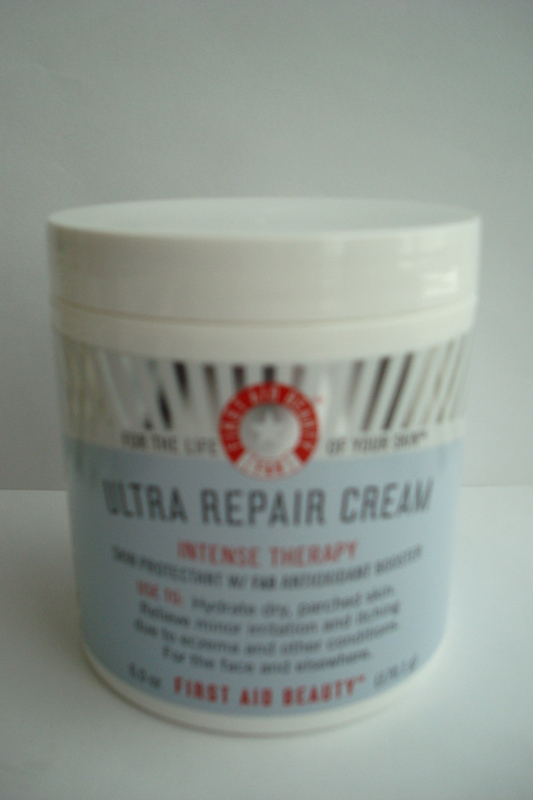 If you suffer from beauty challenges like I do, then I recommend Ultra Repair Cream by First Aid Beauty. Ultra Repair Cream by First Aid Beauty gets a TEN!